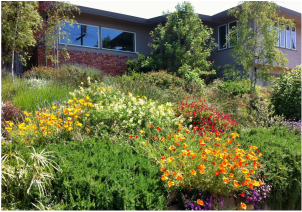 Mariposa Gardening & Design, Cooperative Inc.
Mariposa Gardening & Design is an award-winning ecological design-build landscaping company. We design, install, and maintain gardens using Permaculture methods. Our gardens build songbird, butterfly, and pollinator habitat using California natives, pollinator-friendly plants and dry-stacked stone work. 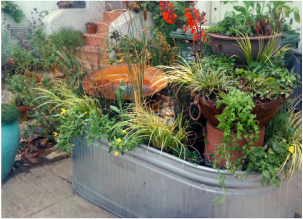 We conserve water with our innovative approach to replicating natural systems. Our strong commitment to incorporating beauty with innovative and ecologically-minded designs guides the way we work with stone, plants, wood and water. Here at Mariposa Gardening and Design we implement innovative green design to make your yard and green space as beautiful and ecological as possible. We work endlessly to ensure your yard is exactly what you want it to be. Take a look at our work, we have successfully completed many projects over the years that we are proud of! Browse some of our work here. Part of being green and maintaining quality is using locally sourced materials. This is a critical part of our process in making sure you get the best that is on the market. Our team at Mariposa Gardening and Design is not only passionate about what we do, but we are also dedicated to your vision. Check out more of what our clients are saying about us on our reviews page.